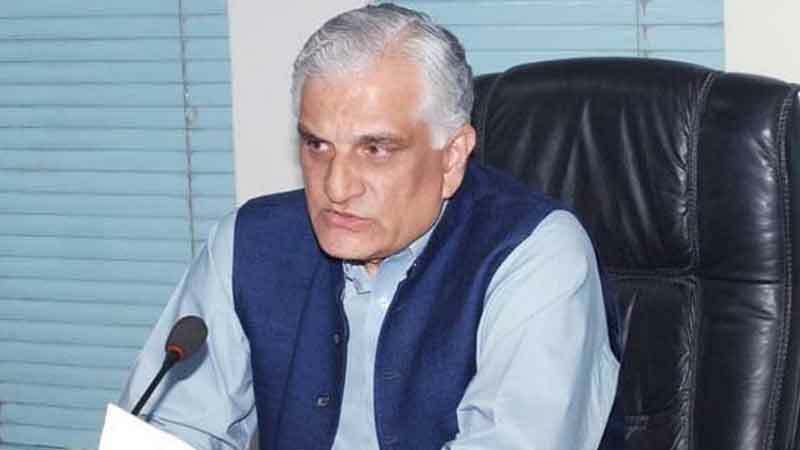 ISLAMABAD: Law Minister Zahid Hamid has made it clear to party head Nawaz Sharif that if he is pressurised to tender resignation, he will reveal the name of the person who gave the order for the Khatm-e-Nabuwwat amendment, it was reported on Saturday. He also threatened to reveal the means used to win the NA-120 by-election. Reportedly, the law minister has erected a new problem for the country by refusing all offers of the government in return for his resignation in wake of the situation created by the Faizabad sit-in. According to media reports, the government offers to appoint him as an ambassador to any hand-picked country and to make his son an MNA or MPA, have been rejected by the law minister. The 20-day sit-in of Tehreek-e-Labbaik Ya Rasul Allah has shut all doors for the government as the continuous demand of the protestors seeking Zahid Hamid’s resignation does not seem to recede. This was very deliberate and not a slip of pen. Look at the whole scenario. Slip of a pen!!!!!!!!!!!!!!!!!! Really? This slip of Pen(so called) will end up, Slip of PanT!! Dirty politics cannot be cleaned by angels from heavens, it is you the people of Pakistan who vote for crooks and thieves and bring them to power that is how dirty politics establishes itself. Politics will automatically become squeaky clean once you start voting for honest and upright people or don’t vote at all. Don’t blame dirty politics, it is you the people who empower dirty politics election after election with the choice of your vote, then you grumble and vent anger like children but sadly never learn..
Aap intihai jahil aur bewaqoof soch k malik hein.. Apni soch badlo aur mulk sanwaro.. Kabhi fursat milay tou sochna kiya fouj ko zarurat hai in sab cheezon ki???? Fouj k apnay kaam hi bohat hotay hein…. What a stupid comment. How do you know he is Qadyani and how do you know it’s done by Army. It’s 2cent stupids like you, who have put the nation to shame. Your JAHIL comment is no less then those abusive Mullahs in Faizabad. Allah helps those who help themselves, why should Allah help Pakistan’s electorate hell bent on voting for crooks and thieves election after election, that is why Allah is punishing you all for your repeated stupidity, despite the punishment you remain determined to continue with your stupidity. It was PML N govt in Punjab who sponsored these people by providing transport and safe passage. from where the venom against army came Mr Micheal. There is no peace, even in this small comment section. All of us have our separate strong opinions and very little agreements in between. Any one who found involve in amendment shoud drag under accountability. PAKISTAN is not rements of these folks. ONE man sits and leave his portfolio for the sake of saving hundred of lives and destruction of country assest. But remember that this precedent is set by NS stuck with your baseless, stupid, moraless, anarchy setting trend.